New York, NY, November 11, 2016 – Zipato today announced that it has been named a CES 2017 Innovation Awards Honoree for the new version of its smart home control panel – ZipaTile. Products entered in this prestigious program are judged by a preeminent panel of independent industrial designers, independent engineers and members of the trade media to honor outstanding design and engineering in cutting edge consumer electronics products across 28 product categories. 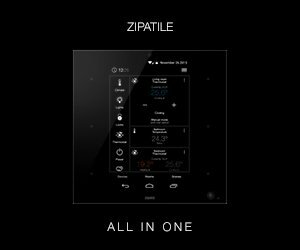 ZipaTile is the smart home control panel, featuring 8” touch display, Android OS and multiple sensors built inside. It can be easily wall mounted in any home, and due to the large number of software functions and built in devices, it can practically replace a traditional home security, thermostat, interphone and home automation controller, all in one device. 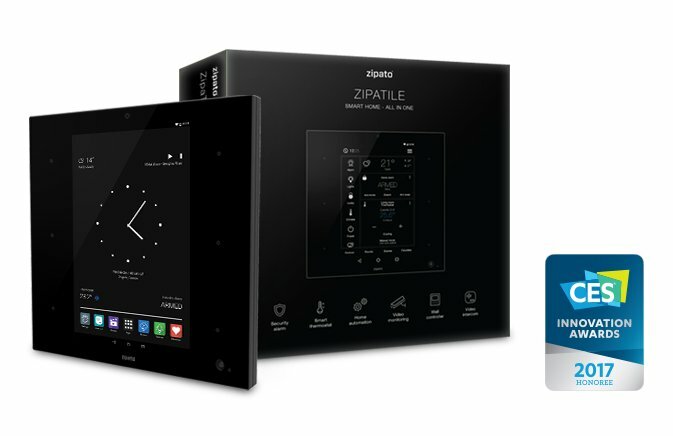 Zipato is already well-known for its professional home automation solution and multiprotocol support, so Zipatile is now coming with built-in controller for Z-wave, Zigbee, KNX, Bluetooth and WiFi devices. This way Zipatile can be easily installed in any new or existing home, and provide the exceptional control, monitoring and automation experience to all family members. Zipato’s Zipatile will be displayed at CES 2017, which runs January 5-8, 2017, in Las Vegas, Nevada.